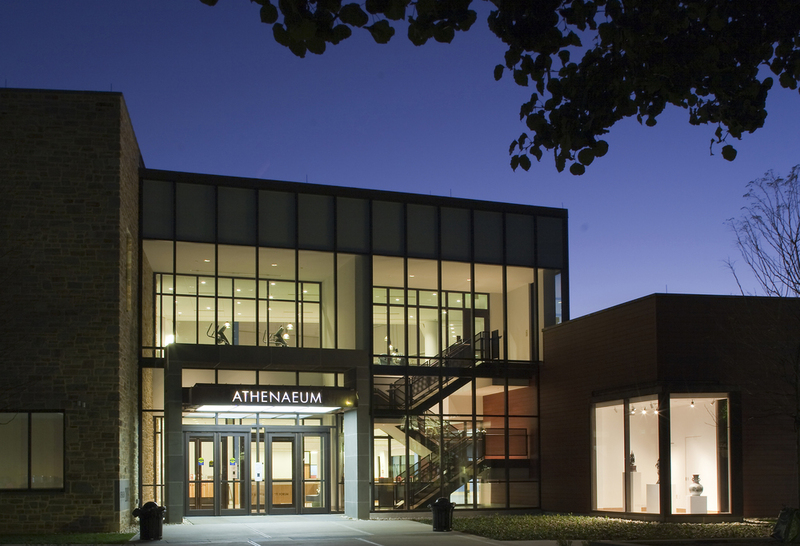 George Sexton Associates provided lighting design services for the construction of this new LEED gold certified college center. Comprised of a high-tech library, the building also brings together classrooms, a café, an art gallery, a radio station, a community service center, meeting rooms, and a “Forum” space. The electric lighting systems were designed to support the activities and architectural expression of the faculty in a responsible budget-conscious manner. Daylighting design primarily focused upon the Forum space where the challenge was to foster a truly open-to-the-sky experience that is comfortable for all users.